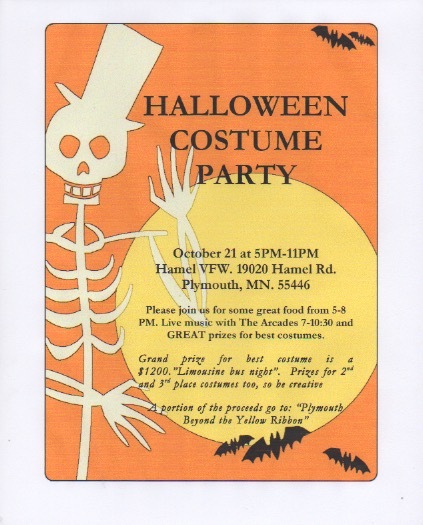 The Hamel VFW is hosting a Halloween Dinner & Costume Dance on Saturday, October 21st from 5-11:00 pm. Food from 5-8 and music from 7-10:30. Prizes will be given to the three best costumes. The 1st place prize is a $1,200.00 “Limousine Bus Night”. The bus holds 22 people. Call for reservations if you have a large party. 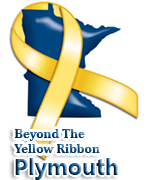 A portion of the proceeds is going to Plymouth Beyond The Yellow Ribbon. The VFW will make a second donation to a Plymouth City school. 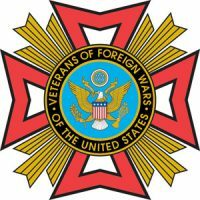 A teacher has received permission to put the American Flags back in the class room and asked for the VFW’s assistance. 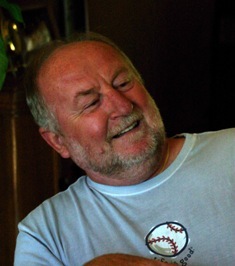 This entry was posted in Events and Deals and tagged Hamel VFW by pbyradm. Bookmark the permalink.